Get your CERT up and running with the right tools. The most challenging task of any CERT (Computer Emergency Response Team) is to have the right tool at the right time at the right place. THOR is a totally portable offline APT scanning tool. THOR will give your CERT the most effective tool necessary to scan highly sensitive assets without needing a network connection. This allows you to keep your data safe when an incident is suspected. Simply run the THOR scan on the asset and collect the logs locally. This provides your CERT the opportunity to take the log files back to the lab for analyzation. If your CERT Team is on the road, in a remote location, or not connected to your network, don’t worry. Simply login to our portal to generate the license you need, download the license and run that scan. 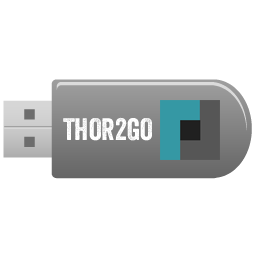 Give your CERT THOR on a USB thumb drive to be ready at a moments notice.